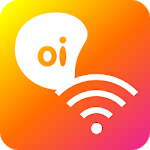 Oi WiFi is the service for accessing Oi’s wireless network, available in airports, hotels, restaurants, cafes, stadiums, touristic attractions and in big events sponsored by Oi. 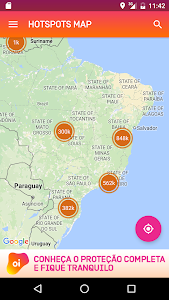 Millions of hotspots allover Brazil in a network that doesn’t stop growing. 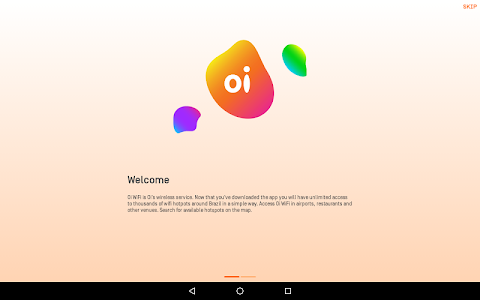 Premium Access: If you are an Oi Customer with an eligible plan* to Oi WiFi or bought a pass you will be able to access the network without additional publicity. 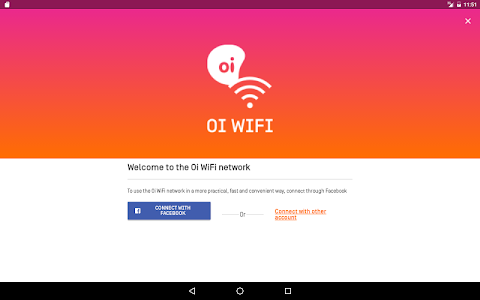 Access with publicity: If you are not an Oi customer or do not have one of the eligible plans you will be able to connect to Oi WiFi on your device with additional publicity, while you are connected. Remember joining the “access with publicity” option so you can navigate. Is free, is for everyone. 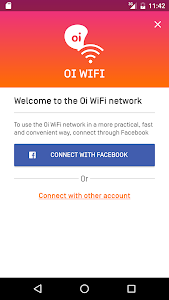 The Oi WiFi app is an essential tool for those who want to stay connected. Download the app and it will do all the work. 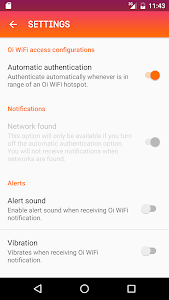 After validating your access at the first time, the app will detect the Oi WiFi network on the range of your smartphone and will connect you automatically. 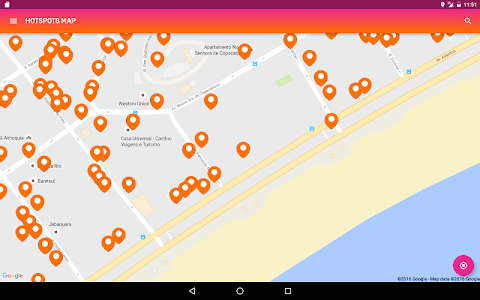 It is also possible to check the closest hotspots on the map or to search for a location. New functionalities and evolutions have been incorporated, turning everything easier. And new features are coming! New look: We want to stimulate interaction. 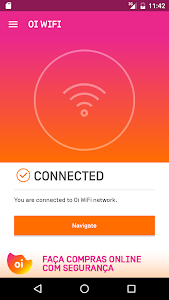 The power of connecting people is one of the missions of Oi WiFi. We believe that connection + interaction bring new possibilities. 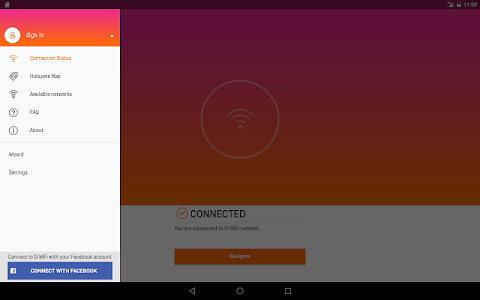 Intelligent login: Insert your phone number and the app does the rest. You don’t remember your CPF/ID number during your login? We send you a SMS. Forgot your password? 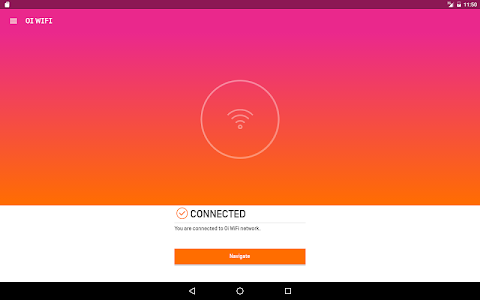 Recover it using the app. Ongoing evaluation: We want to know your opinion to improve our services. You may receive a request through a notification to evaluate us. Compliments, Suggestions and Critics are always welcome to improve our product. We will also keep an eye on the Google Play reviews. Connecting people is our challenge! We always pay attention to your opinion. 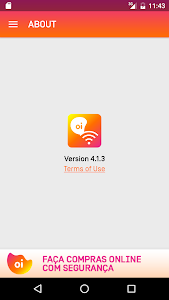 The Oi WiFi team has done a new release to improve your experience. An app faster, more efficient, some bugs fixed and better publicity libraries.